As women, we all love candles of some kind. My niece only likes vanilla and my sister only like a candle called midnight and my mom well she is like me. I love fruit, flowers if not too overwhelming in the scent, food scented candles like blueberry muffin or Cinnabon.My all time favorite is Pomegranate. I love anything pomegranate. I was so happy when I received my candle and I couldn’t wait to start burning it. I know the in thing to do is to use one of those flames burners that warms up these little cube wax tarts but I don’t like them. To me, they don’t burn the wax tarts very well and they are too expensive for everyone to buy. I bought two and were very dissatisfied. So I have decide that burning candles is the only way to go. 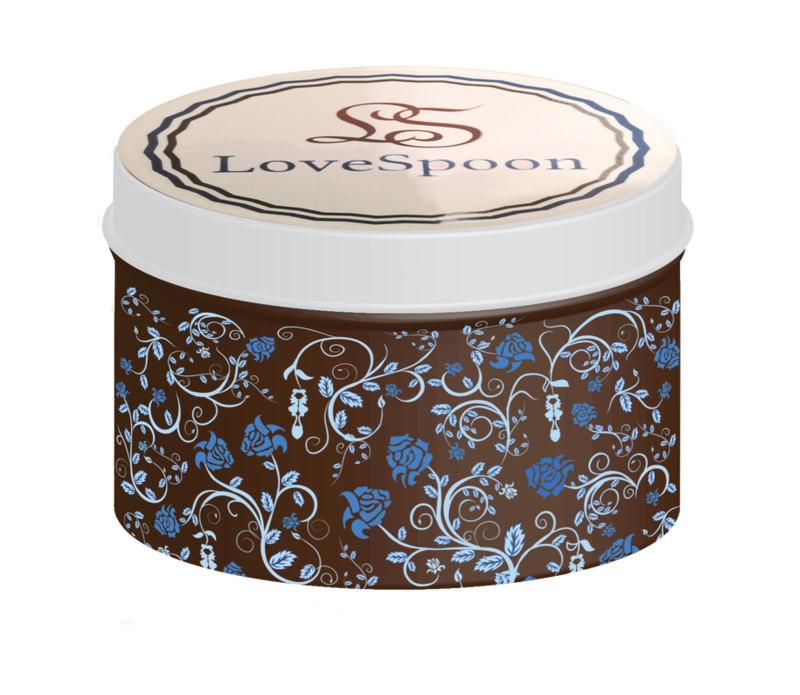 Love Spoon has become one of my fave go to candles . I love the pomegranate and it filled my living room, dining room and kitchen with this awesome scent. 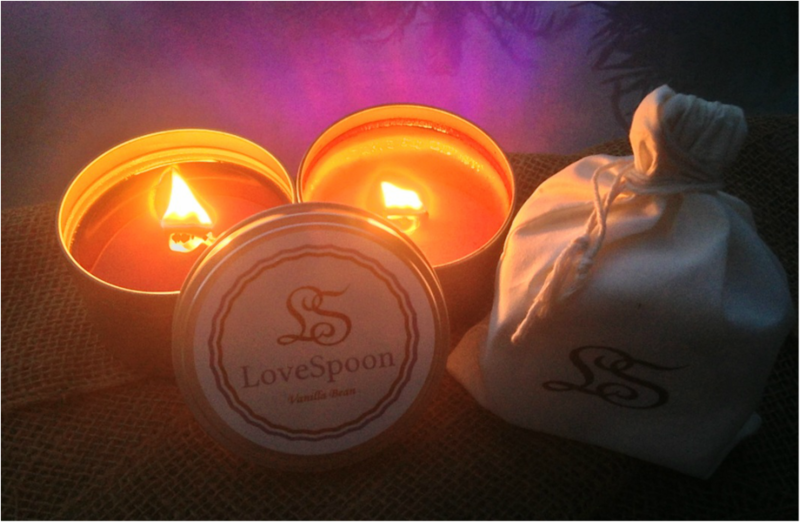 Love Spoon Candles are 100% soy and have eco-friendly cotton, wood wicks. They’re clean burning and chemical free. They have two types of candles that you can choose from and they are, CornerStone Collection, Monogram Series. The cornerstone Candles come in decorative tins which is the one I got and pictured above. They come with a wood wick that crackles as it burns for that rustic feel. The Monogram Series comes in the decorative colored glass jars and has a cotton wick for clean burning. They have four sections you can choose from and they are Serenity Sensation, Exotic Essentials, Decadent Desire, Festive Fragrance. So as you can see they have something for everyone. These would also make a great Valentines gift for that lucky and special person in your life. Head on over and check them out you will find any scent you would like.